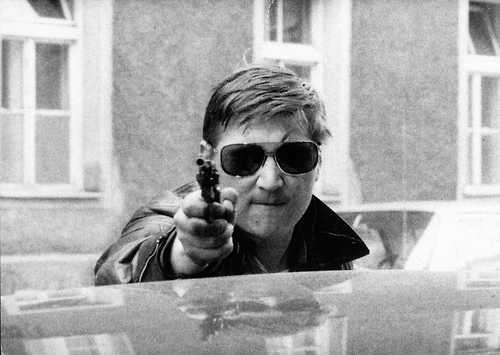 I have an essay in the issue commemorating the 30th anniversary of the great director Fassbinder’s death titled “Rainer Werner Fassbinder: The Balzac of West Germany.” I spoke with Fassbinder’s former companion and editor Juliane Lorenz as well as American director Tom Kalin to get an idea of Fassbinder’s legacy today among filmmakers as well as audiences. You can subscribe to Absinthe right here. Photos – 1) From the Absinthe 18 cover by Cyril Kuhn, 2) Rainer Werner Fassbinder raising money for a film (only kidding).